Oldham County Fine Arts Show at the YMCA November 2nd-4th | Buckner, Kentucky | Joe Hayden Real Estate Team - Your Real Estate Experts! This weekend the YMCA in Buckner welcomes the Oldham County Fine Art Show from November 2nd through November 4th. 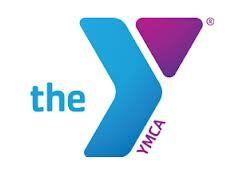 This annual event will take place at the YMCA's indoor arena at 20 Quality Place in Buckner, Kentucky. The displays will be open for viewing and purchase on Friday from 2pm until 6pm and Saturday and Sunday from 10am until 5pm. The show will start on Friday with a Preview Party from 2pm until 6pm where attendees will enjoy a catered dinner, festive music, live and silent auctions, plus libations. The YMCA has a history of fantastic activities and events to promote youthful creativity and development, and this showing is a shining example of the work they promote. This free art show will showcase over 50 local, regional and national artists exhibiting an extreme variety in art mediums that are sure to entertain. As cold weather sets in, art shows offer a great way to spend a relaxing afternoon viewing creative expressions of talented artists with the family in a climate-friendly environment. Those that appreciate original art in a variety of mediums won’t want to miss the Oldham County Fine Art Show at the YMCA in Buckner, November 2nd through the 4th.